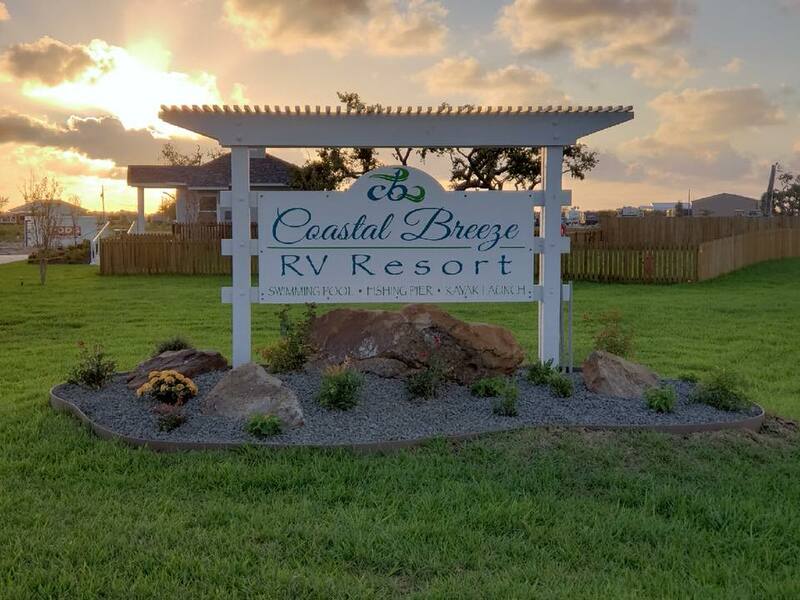 Coastal Breeze RV Resort recently celebrated their Grand Opening in November 2018. 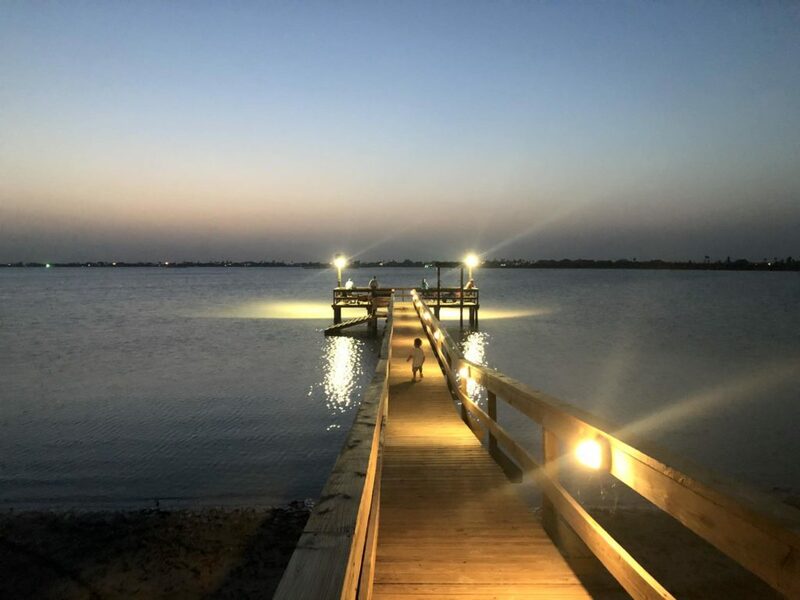 A short drive from the scenic beaches of the Gulf Coast, this luxurious new resort lies along the shore of Salt Lake in Rockport, Texas. They have over 250 pull-thru and back-in RV sites with full hookups. The sites are extra roomy at 130 feet long and also include a soft carpet grassy area. They also have a few park models available to purchase. Guests are welcome to relax in their swimming pool, clubhouse, or dog park. Head down to their beach and wooden pier for the best views of the lake and vibrant sunsets. The area is renowned for great fishing and the resort has a kayak launch available. Rockport has lots to see and do and hosts various festivals, pop-up marketplaces, and concerts throughout the year. The downtown is full of shops and restaurants to browse, as well as attractions like the Maritime Museum. The resort’s rates vary by season—you can see the current prices on their website. You can also check site availabilities and make reservations online here. Have you visited this new Texas resort yet? Let us know about your experience on Campground Reviews! The monthly rates don’t look to bad, I’m sure that doesn’t included utilities. As for the daily and weekly rates, are you talking to maybe less than 10% of the campers out there looking for a place to stay. Rates are really getting over priced, especially when we are bringing our living quarters with us. Actually if you stay 5 nights you’ll pay more than the weekly rate. That would be the way to go – book for a week and leave on the 6th day if you need to. But I agree, the winter single nightly rate of $70 is insulting. Holy COW! You’d better be bringing me Breakfast every morning for those rates. This is getting ridiculous with these over priced parks, and this park will become its own worst enemy and price itself out of business! Actually, these rates don’t look bad for the location. We paid $954 plus tax and resort fee for a “waterfront” site in the Florida Keys in June. (1 week). Really nice place – just not a lot in the immediate vicinity besides the resort. By the night seems a little expensive but the monthly rate seems ok. The issue will be how many monthly rentals will they get. The over night campers may steer away. As they say, Only Time Will Tell.. I was excited when I saw this and bittersweetly happy when I saw on the satellite map that this is in an area that was wiped out by Hurricane Harvey. There are no trees or landscaping; probably why the website is devoid of photos of the sites themselves. Clearly, the resort prefers weekly or monthly guests. The daily rate is obscene. We are in FL this winter and boy do we miss Texas where we spent the last two winters! It is so expensive in FL, and many resorts now require not just one month’s stay, but two or three! We had a hard time finding a place and began looking a year in advance. We had more trouble when we asked to extend our stay through March’ 19. The resort (one of a conglomerate) prefers annual leases and has very limited number of sites available for short term (anything under a year). We settled for a grass site with zero privacy for $765 month plus electric. These are two of the factors (availability and price) that will weigh into the decision to continue traveling full-time or throw in the towel. The pull through sites are huge, we have a 45 foot RV and still have room for 1 car in front and 1 in back. Sites are also really wide and 100% paved. Management seems really nice and helpful. We are here for 2 months, it is nice to see Rockport coming back after Harvey. Good to know. Agreed that it’s good to see the renewal. We stayed the last two winters at Benson Palm Village RV near Mission, TX. Not everything with mgmt was perfect but the park itself was wonderful. We made what are now long-time friends while we were there. Texas ain’t the Florida Keys! Rockport was wiped of the map by the hurricane .most parks were leveled (as were the ones I had stayed at). I am glad that someone decided to build another park there .As the name implies “a luxury resort” and that would seem to me it is aimed at the prevost ,etc. crowd . it will take a few years to replace the palms ,etc. but it is not geared to the weekender from what I could see . also gulf side parks tend to run high and new parks cost more to build now days ,so expect to pay more ,but expect to get more too! Florida after dec 1 (prime time for southern parks ) cost way too much and offers too little to justify the cost as well as the parks themselves are getting old and battered by hurricanes also! did not see much down there either to justify their cost !! if you want a more affordable place to sit go to harligen tx .